Well, it happened: I got tagged again! 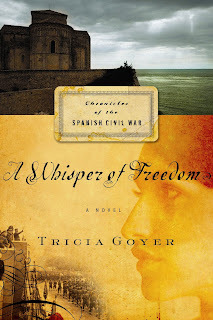 This time for the newest Tricia Goyer historical title, A Whisper of Freedom. I've not read this yet, since I'm just now reading the first of the series, but I'm very much looking forward to it! Battles heat up...not only those being waged by the soldiers on both sides fighting for Spain, but in the hearts and minds of the men and women who must sacrifice more than their dreams to save the lives of their loved ones. 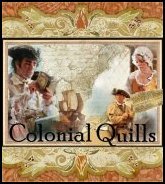 In this meticulously researched novel, brave and idealistic Sophie, Philip, Jose, and Deion realize their only hope for freedom is escaping Spain's borders. 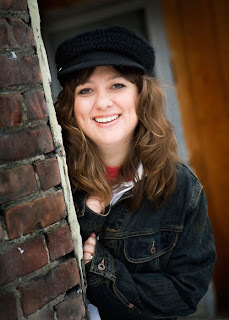 Tricia Goyer is the author of twelve books including From Dust and Ashes, My Life UnScripted, and the children's book, 10 Minutes to Showtime. She won Historical Novel of the Year i n 2005 and 2006 from ACFW, and was honored with the Writer of the Year award from Mt. Hermon Writer's Conference in 2003. Tricia's book Life Interrupted was a finalist for the Gold Medallion in 2005. In addition to her novels, Tricia writes non-fiction books and magazine articles for publications like Today's Christian Woman and Focus on the Family. Tricia is a regular speaker at conventions and conferences, and has been a workshop presenter at the MOPS (Mothers of Preschoolers) International Conventions. She and her family make their home in the mountains of Montana. Tithe. :-) Not being legalistic or anything, but.... And then, pay all our immediate debts (credit card, yes, sadly we have one; house; property). Split the rest between travel, savings, and helping someone in need. Various veteran’s associations, because we are a military family and my adoptive dad was a WW2 vet. Voice of the Martyrs, because they have a unique and much-overlooked ministry. Various missionaries through our church, because missions are close to my heart. Leading Bible study, childbirth education and labor support, preparing meals for new mothers or the bereaved. My checkbook, a child’s brand-new shoe, and a paper containing semi-important information about a church outing my 14-yo daughter wants to attend. Three brave "players" will be selected at random to win their own lost gold (gourmet chocolate coins and all three books in the Chronicles of the Spanish Civil War series). To enter all you have to do is answer the MEME on your blog and then leave a comment on Tricia’s blog tour post (see below) that you’ve posted your MEME. Easy.